Do you hate going down the soap and body wash aisle at the store? Why are there so many different kinds of soap? What's the difference? Don't they all do the same thing? 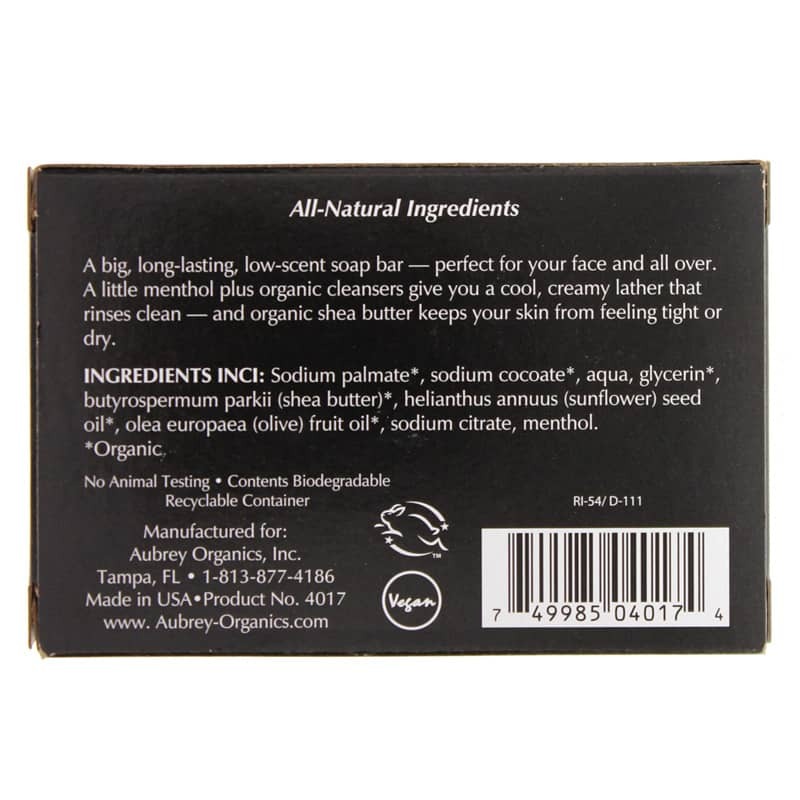 Skip the hype, exaggerated claims and weird scents and just get some good basic soap with Men's Stock Basic Cleansing Bar from Aubrey Organics. Made with 85% organic ingredients, Men's Stock Basic Cleansing Bar contains simple, natural ingredients - because that's how soap should be. You don't need anything fancy or the latest science and technology in a simple bar of soap. Soap has one main job - to clean your skin without making it feel or smell weird. And that's what this cleansing bar does. Long-lasting with a mild scent, this soap is the only soap you need. It's great for your whole body - including your face. Organic cleansers take out the dirt and a touch of menthol leaves your skin feeling refreshed. And with the perfect amount of moisture from Shea butter and sunflower seed oil, skin won't feel tight and dry. The end. 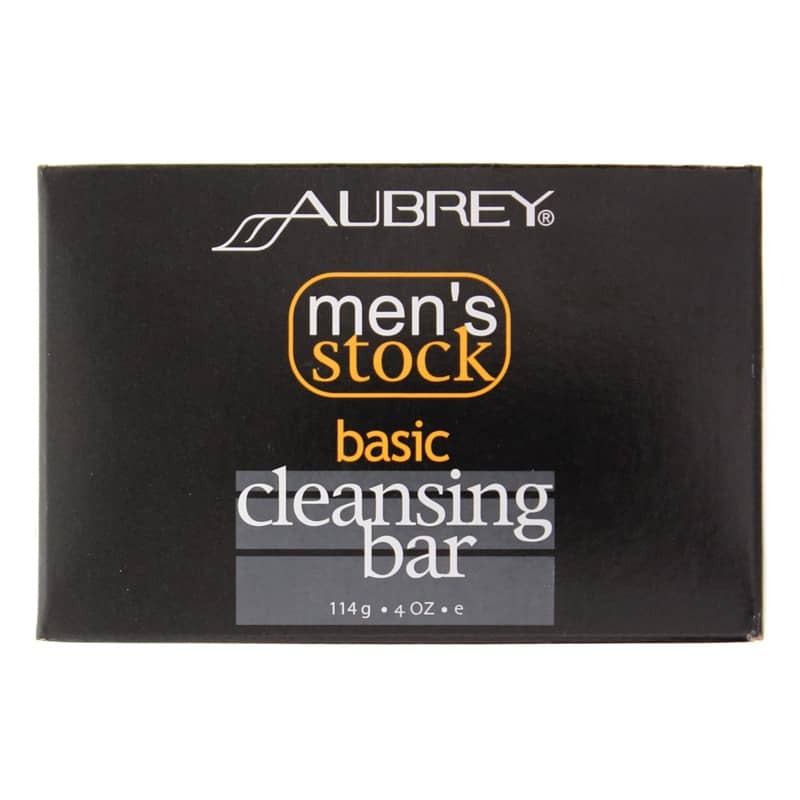 Order Men's Stock Basic Cleansing Bar. Done. Sodium palmate*, sodium cocoate*, water, glycerin*, butyrospermum parkii (shea butter)*, helianthus annuus (sunflower) seed oil*, olea europaea (olive) fruit oil*, sodium citrate, menthol.